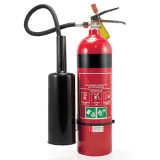 Carbon Dioxide (CO2) Fire Extinguishers have a black coloured band around the top of the cylinder. 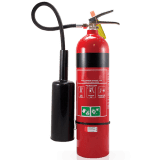 Carbon dioxide is a non-conductive and non-corrosive gas which is used to lower the amount of oxygen available to the fire. Handles manufactured in stainless steel. High-pressure hose with swivel fitting and moulded horn. The 2kg have a newly designed horn. 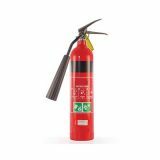 Our CO2 extinguisher range have some of the highest ratings in the industry.